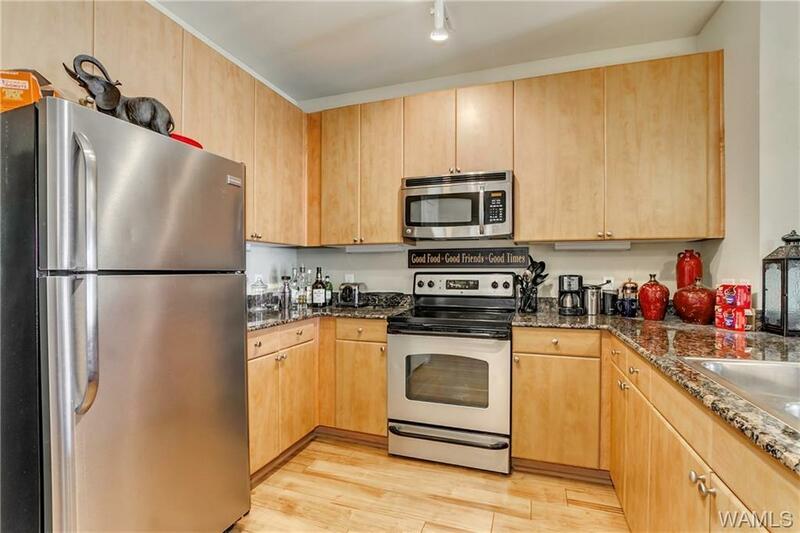 This 2 bedroom, 2 bath condo on the first floor of popular Midtown Village features a fenced in yard! 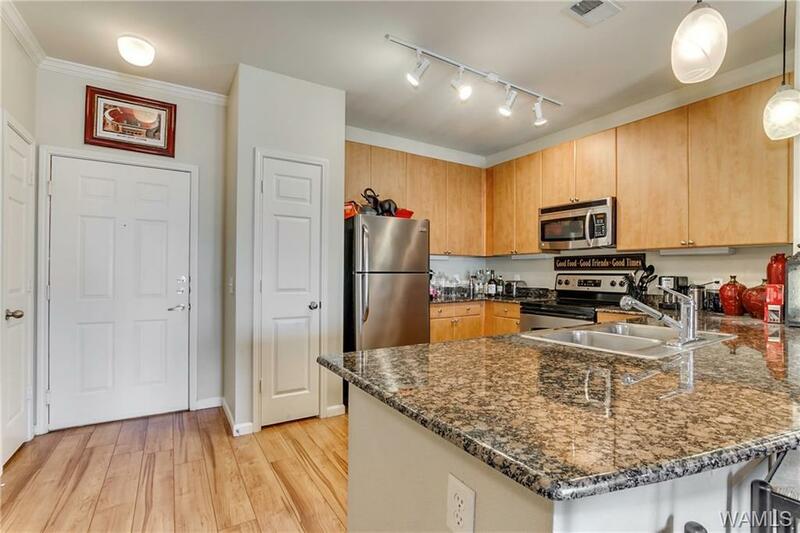 Unit boasts high end finishes including stainless steel appliances, hardwood floors, granite countertops, and custom cabinetry. 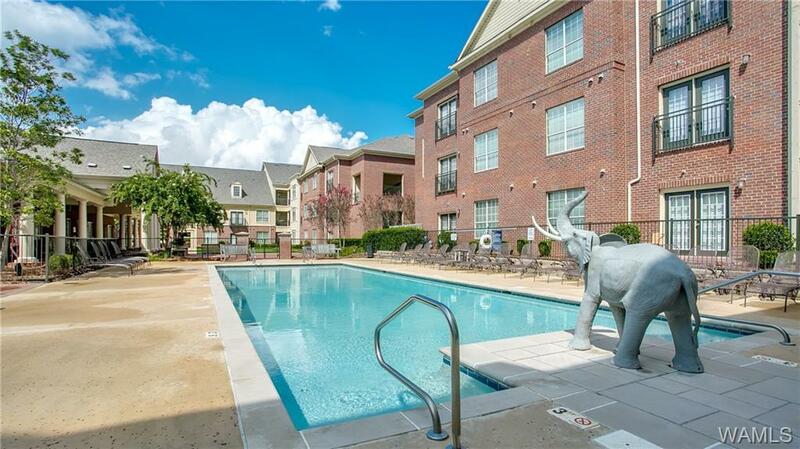 Condominiums adjoin the popular Midtown Village Retail center, and are just 6/10s a mile from campus. Retailers and restaurants are only steps away from your door. 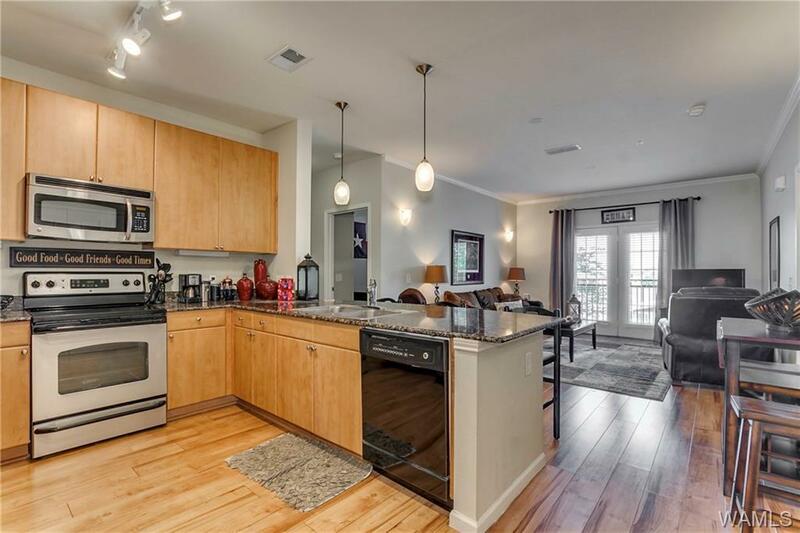 This complex features awesome amenities including a pool, putting green, fitness center, tanning bed, clubhouse with kitchen for entertaining, and two parking garages. Safety features include controlled gate access and security cameras. HOA fees are $285 a month and cover water, internet, and cable. Pictures shown are of another unit with same floor plan and interior features. .